Messaging is great for getting answers, quickly and conveniently. For more complex interactions, Oracle Mobile Cloud Enterprise (‘OMCe’) has developed Instant Apps that let you build and send forms, capture signatures and photos, and more—without relying on additional development resources. We see that it is difficult to get consumers to download and install a mobile application. People don’t want the task of ‘download and install’. OMCe provides a platform for enabling the Oracle Bot to deliver instant mobile applications within the context of the customer conversation with the BOT. The BOT is used for intent discovery. For example, intent could be ‘I need to change my flight’, ‘I need to return an item’, ‘I need to order business cards’ or ‘I have a fraudulent charge on my credit card and need to file a dispute.’ In those conversations, the BOT is not great at collecting the structured data needed that is required to fulfill that intent. That is where Promero can help you build an instant app that the BOT can take the conversation and serve up the right instant app and collect the structure data needed to complete the request. There is no need for the consumer to be sent to a separate mobile app or massive webpage requiring tedious searches. The instant app sends the structure data back to the BOT for further processing and delivering the data back to the system of record to process the request. The key is personalized on-demand communication without complex navigation. With OMCe, instant mobile apps can be integrated into any messaging flows. The Oracle Mobile Cloud Enterprise, Intelligent BOTs and Instant Messaging Apps within the messaging channel is only platform in the world that recognizes the need to transition the consumer’s conversation of unstructured data and to capture and organize the structure data that is needed to fulfill a consumer request. This unique feature is what makes BOTs work well and truly improves the customer experience. Send your customer a text or Facebook message with a link that opens a mobile-friendly Oracle Intelligent BOT that understands natural language and intent. The BOT understands the intent and guides them through a wizard-like experience. 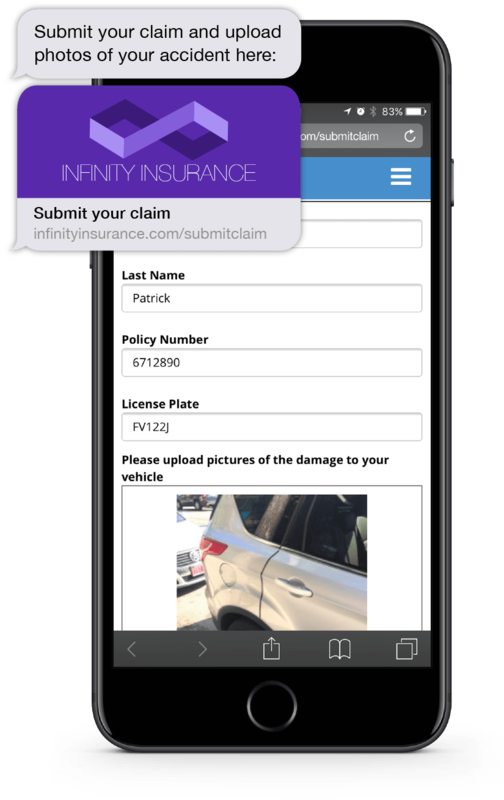 Your customers can upload photos, provide signatures and enter, correct or approve customer information, without having to leave their phones. Oracle Instant App can pull and push information to and from your CRM or other back office system record in real time, so you can get accurate information straight from your customers. There’s no need to re-key your data so there’s no room for human error, saving your business time and trouble.